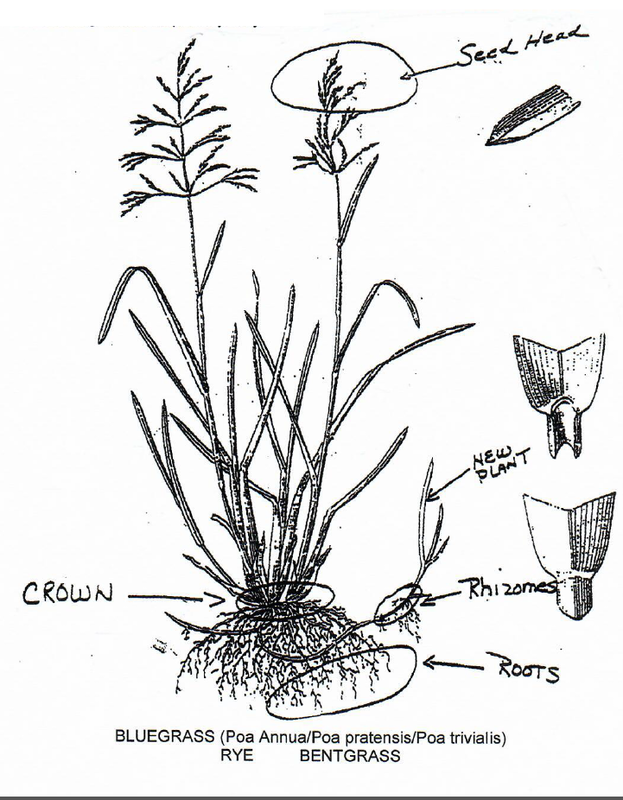 Certain varieties of grasses that are native to New Jersey are considered problematic. Some are, some have and others will soon be producing seed heads while other varieties will become a problem as warmer temperatures arrive. Seed heads are often mistaken for weeds, but this is a normal biological function where a lawn reproduces itself. Unfortunately, these seed heads never mature enough to produce any new plants. Seed heads may reappear multiple times in a season and usually last for at least a few mowings. As temperatures increase brown spotting will be noticeable in these challenging varieties. Appearance of these grasses, whether apple-green, cylinder-like, and or tight knitted blue bladed, are not heat or drought resistant. Most of these varieties thrive in low-lying, cool, moist conditions. Some of these varieties, under heat stress, will surround themselves with a brown sheath, while others tend to lay down appearing like dead grass that has been mower skidded or fungus stricken. Some varieties, so invasive, it takes just a couple of seasons to infiltrate newly installed lawns and sod. We have noticed these undesirable varieties in sod as we are installing it . While control methods are indicated by Rutgers Agricultural Extension and chemical producing companies, our studies show no practical method for control, especially in residential lawns except totally killing off areas. Killing off these areas are only control methods and should be considered in July/August so we can reseed these areas in August/November. It is common not to have noticed these unfavorable grass types in prior seasons as infiltration occurs over time. As your lawn becomes older season by season without question, infiltration is inevitable. Favorable seasonal conditions will allow some of these undesirable turf varieties to recover but in most cases seeding will be required yearly.